December 9, 2014 Local Events, NewsR.C. Christmas Afternoon Tea, Sunday December 14th, 3-5pm, at Te Whaea National Dance and Drama Centre, 11 Hutchison Rd. 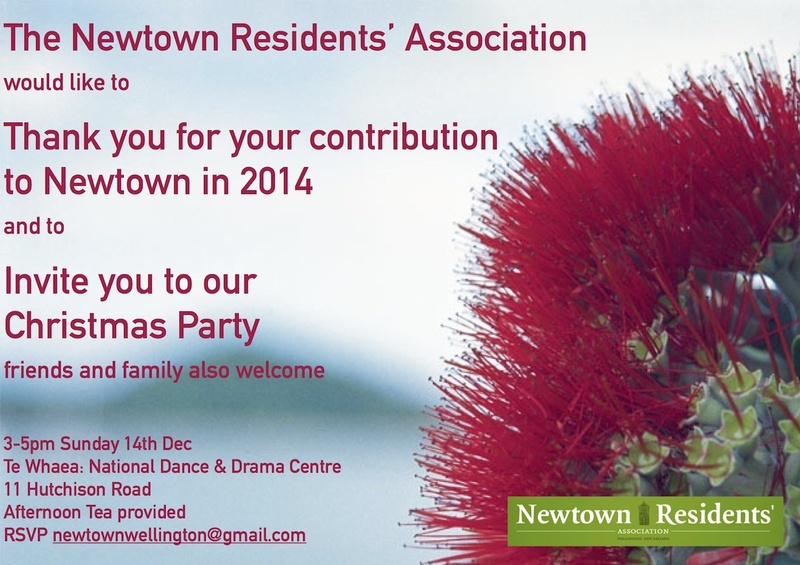 To all residents of Newtown, Berhampore and Mt Cook, or others with involvement in our suburb – we hope you, your family and friends will join us to relax and unwind with good company, Christmas treats and mellow music. Can you come? Please take a moment to contact us and let us know how many people to expect. This will help with catering, but if you make a late decision you will be welcome anyway on the day.